SINGAPORE (Reuters) - Oil prices edged back towards five-month highs on Wednesday, supported by ongoing supply cuts by producer club OPEC and U.S. sanctions against oil exporters Iran and Venezuela. International benchmark Brent futures were at $70.83 per barrel at 0056 GMT, up 22 cents, or 0.3 percent, from their last close. U.S. West Texas Intermediate (WTI) crude oil futures were at $64.26 per barrel, up 28 cents, or 0.3 percent, above their last settlement. Both benchmarks hit five-month highs on Tuesday, before easing on global growth worries and concerns about a rise in Russian supplies. Oil markets have been tightened this year by U.S. sanctions on oil exporters Iran and Venezuela, as well as supply cuts by the producer club of the Organization of the Petroleum Exporting Countries (OPEC) and some non-affiliated producers, a group known as OPEC+. 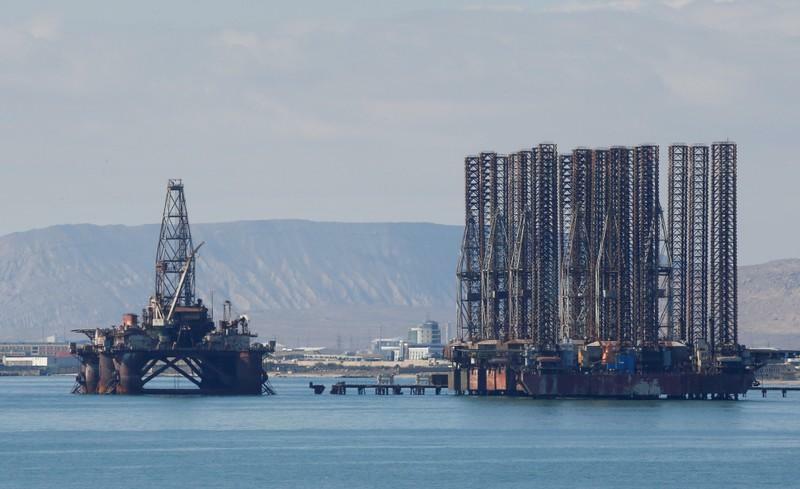 "Venezuelan oil output is estimated to have fallen from 1.19 million bpd in October to 890,000 bpd in March, while output from Iran has fallen from 3.33 million bpd to 2.71 million bpd due to sanctions. Declines from these two exempt countries account for almost 47 percent of the reduction seen from OPEC," ING said. "WTI has not seen the same strength (as Brent)... given the relatively more bearish fundamentals in the U.S. market," said ING bank. "U.S. crude oil inventories remain stubbornly high," it added.